Arthur was the heir to the throne-the first born son of King Uther Pendragon. His conception was the result of a cruel deception. King Uther lusted after the Lady Igraine, the wife of the Duke of Tintagel. He besieged the Duke’s castle and killed him, then made Merlin the sorcerer transform him into the likeness of the Duke so that he could trick Lady Igraine into lying with him. After Arthur was born, Merlin advised that he should be raised in secret and no one should know his true identity, so he was brought up as an ordinary boy. When King Uther died there was a great conflict over who should be the next King. Merlin set a sword into a stone in London. Engraved upon it were the words “Whoso pulleth out this sword of this stone is the rightwise king of all England.” There were many contenders who came to try their luck at removing the sword, but none succeeded, until the fifteen year old Arthur withdrew the sword by chance and was crowned King. The wise Merlin became Arthur’s mentor as he learned how to rule. One day he took Arthur to meet Nimue, The Lady of the Lake, who gave him a magical sword called Excalibur, with which he later vanquished many foes. King Arthur gathered a group of knights at Camelot, including Sir Lancelot, Sir Galahad and Sir Bedivere. They met around a Round Table, to indicate they were all equals. Arthur defeated the Saxon invaders at Mount Badon and became the ruler of Scotland, Wales and Ireland, later extending his empire to include Iceland and the Orkney Islands. Arthur and The Knights of the Round Table carried out many great deeds and acts of chivalry such as slaying strange beasts and rescuing damsels in distress. One of their most famous quests was the search for the ‘Holy Grail‘-the the legendary chalice that Christ drank from at the Last Supper. The grail was believed to cure all ills and offer eternal life. But not everything was plain sailing for Arthur. The court of Camelot was a troubled place and civil war eventually broke out. Arthur’s wife, Queen Guinevere, had an affair with Sir Lancelot. Arthur’s half-sister Morgan Le Fay was a powerful sorceress. In some stories she is an ally to Arthur and a healer, whilst in others she is an evil adversary who tries to seduce Arthur’s knights and plots against Queen Guinevere. As well as this, before Arthur knew who his parents were, he accidentally fathered a child with his other half-sister, Morgause, without knowing who she was. His son Mordred plotted to take over the throne and would eventually bring about Arthur’s death. Talk about a dysfunctional family! Arthur and Mordred were both mortally wounded at the final battle at Camlan. Arthur was placed in a boat and floated down river to the isle of Avalon, where his wounds were treated by three mysterious maidens. But his body was never found and some say that he lies asleep under a hill with all his knights, waiting to be awoken when Britain is in need of protection. The historical basis for the legend of King Arthur is still being debated by scholars, and there are many different versions of the story, but its influence is undeniable. 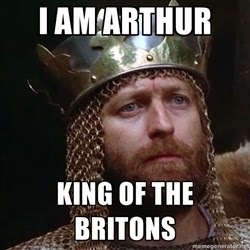 There have been numerous TV shows and films about Arthurian legend, including The Sword in the Stone, Merlin (both a recent BBC TV series and 1998 mini-series), and Monty Python and the Holy Grail. There have also been countless books based on Arthurian legend. Recent examples include Meg Cabot’s Avalon High, The Warrior Queen by Lavinia Collins, I am Morgan Le Fay by Nancy Springer and The Dark is Rising saga by Susan Cooper. 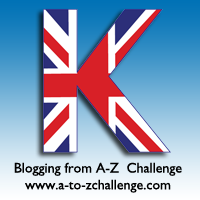 Do you enjoy books, films and TV shows based on Arthurian legend? Do you think there may be any truth to the stories? What a colorful and fun blog you have here. Regardless of truth or fiction, the legend of King Arthur is a wonderful and colorful part of your history.